After a bit of maintenance earlier today, For Honor’s dedicated servers finally went live on PlayStation 4 and Xbox One. Let me tell you: they feel good—real good—and it only took a year for that to happen. 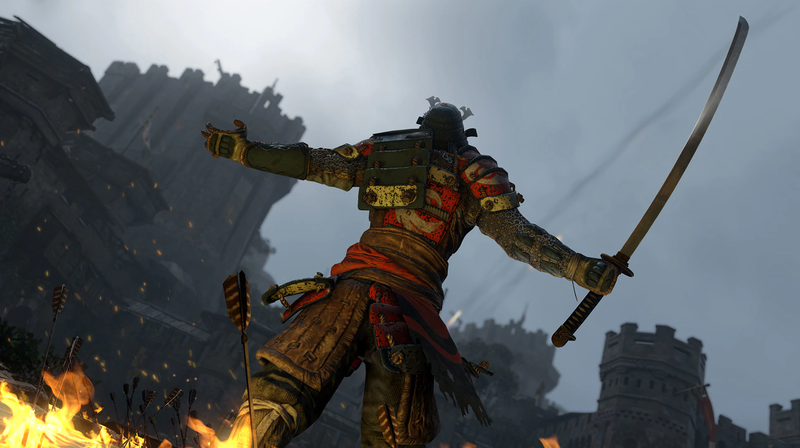 Previously, For Honor multiplayer relied on peer-to-peer hosting for matches. When the player hosting quit the match, whoever was left often got dropped altogether. Even when others left or got disconnected, matches would crawl to a halt as the game sought to stabilize. Today, that’s no longer the case. I played a handful of matches on PS4 and was able to notice the difference after completing a match without any hiccups. There was no stuttering and zero host-migration. Everything ran smoothly, for the most part. Today I witnessed someone playing as Lawbringer vanish right before my eyes, which with P2P servers would mean watching as the game stalled and wondering if I was about to be sent back to the stage select screen. You know what happened on the dedicated server? Nothing. The game replaced them with a bot and continued uninterrupted. So far, most players have shared similar positive experiences of the new servers on the game’s subreddit. “By the Gods, this is a lot more pleasant,” one wrote. “Didn’t even notice players leaving and entering because there was no more of that horrible stop-starting, no more horrible little lag jumps and belches: It was just a much smoother and overall plain better experience.” Many are also appreciative that Ubisoft continues to update and improve the game 12 months after its release. Players have complained about the original online setup as far back as the beta, but Ubisoft maintained at the time that its chosen online infrastructure was perfectly adequate. Then in July the publisher reversed course and announced the game would get dedicated servers after all. Ubisoft finally began testing them late last year and brought them to PC two weeks ago. But dedicated servers haven’t fixed everything about For Honor. Lag remains an issue. Ever since the removal of time snapping, a term for how the game used to try and synchronize actions between players at regular 100-millisecond intervals, the game has felt sped up, and people with slower connections have been at a bigger disadvantage. If you stopped playing early last year and only recently returned to find light attacks flying in at you while your parries and blocks felt slowed, that’s why. Ubisoft says it is currently working on addressing the issue, and noted that the dedicated servers may help it solve the lag problem—it can use them to now collect real-time player data that it can try to base a new system around.